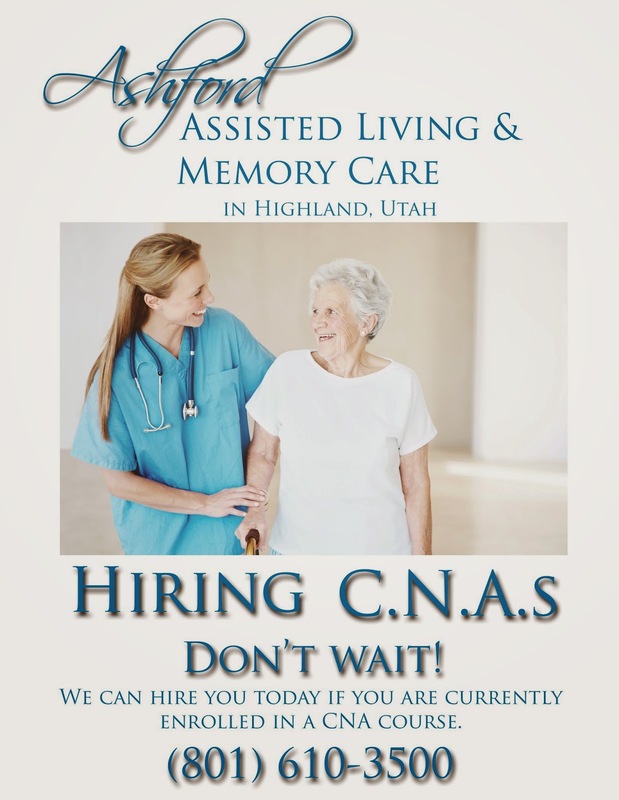 Bee Hive Homes of West Jordan and Herriman are looking for dependable and reliable CNAs to work in our Assisted Living facilities. We have openings for all shifts: Morning (7:00 am to 3:00 pm), Afternoon (3:00 pm to 11:00 pm) and Graveyard (11:00 pm to 7:00 am). Our facilities are smaller buildings meant to encourage more of a home and family setting. Please look us up on the internet: http://beehivehomes.com/location/west-jordan/, http://beehivehomes.com/location/herriman/, https://www.facebook.com/pages/Bee-Hive-Homes-of-West-Jordan/110517358993806?ref=hl and https://www.facebook.com/BeeHiveHomesofHerriman?ref=hl. We care for between 14 and 20 residents in each facility, and our average staff to resident ratio is about 1 CNA to 10 residents. This is in addition to administrators, kitchen staff and housekeeping staff who all pitch in to help as a team when needed. For employment interest at our West Jordan facilities please contact Victor at (801) 598-5798 or victorthebeekeeper@comcast.net. For employment interest at our Herriman facilities please contact Valerie at (801) 903-1040 or beekeepersofwj@comcast.net. Hello! Looking for Caregivers! Right At Home is hiring for various shifts for around Salt Lake City! Come make a difference in someone's life and put your skills to good use! A Caring Hand Home Care is hiring for CNA's and caregivers to join our team! We provide non-medical in-home care for our clients such as housekeeping, meal preparation, laundry, bathing, personal hygiene, and companionship. This is a PRN (as needed) position that works around your schedule with other jobs, school, kids, etc. ; however, we currently hours to fill right away! The more available you are, the more hours you can get! If you are interested and are 18 years of age or older, reliable transportation, and will pass a background check, then please call Heather at 801-253-1265. Canyon home health and hospice is hiring full-time and part time CNAs. We are looking to hire and start ASAP. Call 801 485 6166 and ask for Jessica .